I was recently selected as a winner of the 2017 Writers of the Future contest (2Q, 3rd place)! In addition to a nice cash prize and future publication, this is a fairly well-regarded award for new SF writers, because the organization hires well-known SF authors to act as the final judges. The combination of these two factors leads SFWA (the Science Fiction and Fantasy Writers of America) to count it as a qualifying professional market. After Asimov’s and Analog, that makes my third sale to a pro market. 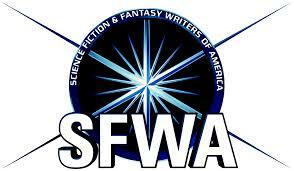 Which means… I’m now a member of SFWA, the Science Fiction & Fantasy Writers of America!! :D This has been a dream of mine for ages, I count SFWA membership as my personal mark of “being legit.” Woooo!! !